Although the hookah is something of a trendy niche product in the United States, it’s a daily way of life elsewhere in the world. I’ve read articles, however, suggesting that unfiltered hookah smoke could potentially be even more dangerous than cigarette smoke. 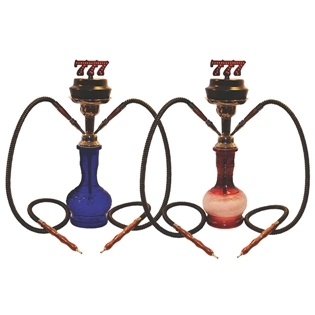 If you love having a hookah as the centerpiece to your den or enjoy sharing the smoking experience with others, an e-hookah may prove to be a good alternative to a real tobacco hookah. 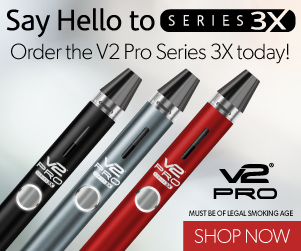 NuvoCig has three different e-hookahs available: the large e-hookah pictured to the right for $199.99, a medium e-hookah for $154.99 and a small e-hookah for $139.99. NuvoCig’s approach seems quite different from what I’ve seen elsewhere. Instead of giving you a pair of USB e-cigarettes that connect to a glass bowl with no purpose, the NuvoCig e-hookah uses disposable “hookah pens” with much nicer mouthpieces — at least, that’s the way it appears. There’s little information available on the NuvoCig website. I do know that the NuvoCig e-hookah is by far the nicest looking I’ve seen. NuvoCig also sells a converter kit for $129 which apparently can convert any hookah into an e-hookah. I’m not particularly a fan of the large “777” at the top of the 777 e-hookah; I think it might feel the owner feel a bit like a casino operator. 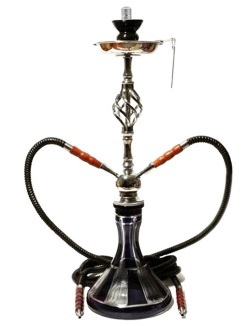 However, the glass bowl looks quite pretty and this is one of the few e-hookahs that you can actually buy today in the United States. One 2200 mAh battery powers two e-cigarettes connected via pass-through cables. The package includes a pack of refillable cartridges along with a bottle of e-liquid. In 2015, 777 ceased operation. I have therefore removed the link. 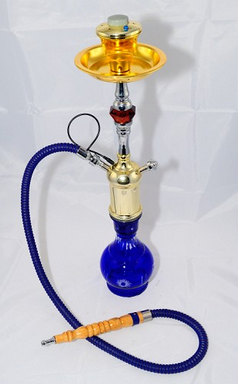 If you live in the United Kingdom, here’s an e-hookah that can actually be purchased locally. Unfortunately, it seems to be significantly more costly than the 777 e-hookah mentioned above. In addition, it only includes a hose for one person — and best as I can tell, Rolsell doesn’t sell additional hoses seperately. If you’d really like to own an e-hookah, though, Rolsell might be able to get it to you more quickly than a company in the United States could.